Communicating what physics says — Domain of Science YouTube channel – Physics says what? The Online Video section of my physics blog contains examples of lectures and visualizations. Most of these presentations are by well-published “rock stars” or scientists at universities and research facilities. 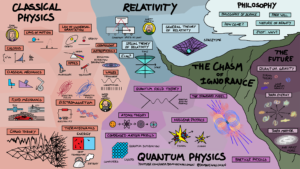 And then there are small teams or “lone rangers” with a passion for explaining what physics says, whether they have any formal title such as visualization scientist or science communicator. Which gets me to Dominic Walliman’s Domain of Science YouTube channel. 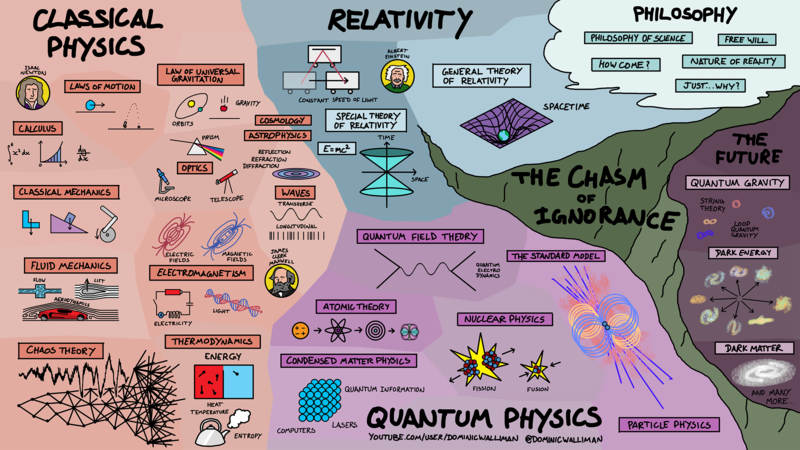 I discovered this channel today due to a Sciencealert.com article “This Genius Map Explains How Everything in Physics Fits Together” (August 9, 2018). Hey welcome to the Domain of Science. I’m Dominic Walliman and I make these videos. I love science, and really like finding ways of explaining it to others because learning something new is the best, and science has a lot of mind-blowing stuff in it. Next Post Imaging a light pulse?